THE TURKISH government, facing economic difficulties, is hellbent on cutting out retailers with high fruit and vegetable prices as the introduction of municipality markets has taken effect. On Sunday, Turks formed long queues at vegetable stalls of municipality markets which have been introduced by President Recep Tayyip Erdogan’s government. The markets are also known as state markets. With these markets, Ankara aims to put a stop to high prices that have seen more Turkish citizens further struggling. 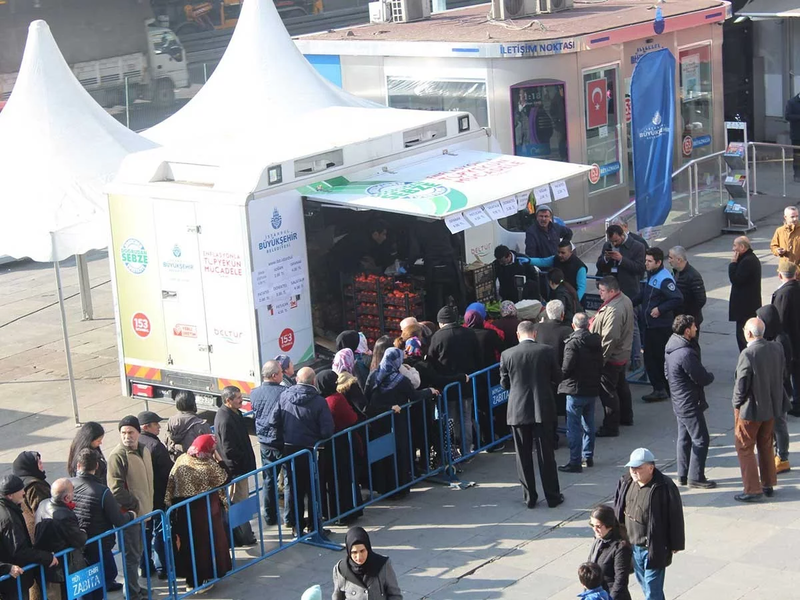 The markets have been opened in various Ankara districts, along with 34 different districts of Istanbul. The move has been largely viewed as the Turkish government’s stringent move to cut out retailers who have been frequently targeted for increasing prices. At the municipal markets, fruit and vegetables will be sold by the municipalities without making a profit. The long term is to have the markets diversified to be able to sell other food items. According to Diken news report, on the first day of the implementation, Turkish citizenry showed huge interest in the municipal markets that opened across İstanbul. Locals flocked to the markets to buy cheaper fruits and vegetables. At the first day of implementation, there was a restriction of 2 kg quota for each citizen. With this limitation, a person can only buy two kg of fruit and vegetables in one day. The price in the markets is 40% is cheaper than in other markets. The idea of creating state markets has been created following food prices increased around 31% across the country in a year-on-year surge. Increasing food prices has turned out to be a nightmare for the governing AKP. The problem is really proving to be a headache for the party as the March 31 local elections fast approach.